The Best Two Way Radios - Water. Sky. Land. When traveling in remote areas in the great outdoors, communicating with your fellow travelers can be difficult without cell service. Thankfully, top rated two way radios are a tactical and easy way to keep in touch while out in rural areas. However, it can be a bit overwhelming trying to find the right two way radio to fit your needs. Fortunately, we did the homework for you and found the best two way radios on the market to fit your next outdoor adventure. What Are Two Way Radios? For those of you who are familiar with a "walkie talkie," then you know exactly what a two way radio is. These devices transmit radio signals at short distances so you can communicate from device to device. When outdoors in remote areas, this can be super handy especially if there is little to no cell phone signal. Also, some two way radios are equipped with NOAA weather alerts, which keep you updated about any sudden weather changes. These two way radio types are the best two way radios for hiking or snow skiing/boarding so you don't end up having issues finding your way home due to weather conditions. How Do Two Way Radios Function? If you've finally made the decision to take your communication in the great outdoors to the next level, we are stoked for you! 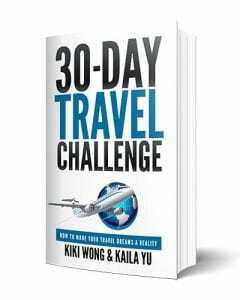 However, there are many factors to consider that can make or break your next trip. We did the homework for you and broke it down into these easy categories. This two way radio is by far one of the best two way radios you can find on the market. Packed with 5 watts of power and up to 11 hours of use on one charge, the highest the market will allow, this product can access up to 50 different channels. The range on this bad boy is up to 36 miles, so you can stay connected from even another city. If you're the rugged type and plan on traveling around water or snow, these radios can withstand all kinds of weather. Plus, the radios come with NOAA weather alerts, keeping you updated about any last minute weather changes. ​Overall, this product is the best two way radio for mountains, camping, and any extreme outdoor activities. Want an easy form of communication that's lightweight, easy to use, and as rugged as you? This two way radio system is packed with power and has a range up to 35 miles. With 22 different channels to access, you can have multiple avenues of communication with your fellow outdoor travelers. One of the greatest features this two way radio has to offer are the NOAA weather alerts. These will keep you safe even in some of the most remote and unpredictable conditions, making you one step ahead of it all. Also, there is a built in flash light for night time use. In the end, we know that this two way radio system will be extremely useful for your next rugged outdoor adventure. For those of you who are a bit more tech savvy, this is your dream two way radio. With a convenient toggle switch that allows you two change between 5 watts of power and low power, this radio system is versatile for function in areas of limited resources. If you're not a fan of reading manuals (who is really? ), a voice prompt walks you through the entire setup making this really hands free. Also, you can set up an emergency beacon if you're in danger which makes this two way radio stand out from others. In the end, this two way radio system is top of the line with state of the art features and exceedingly efficient functionality. Fans of boating, this is the perfect outdoor two way radio for you. Not only is this a waterproof system, it also floats in water and has a water activated flashlight! The flashlight has a red LED for night vision. With 22 channeksm a 35 mile range, and NOAA weather alerts, this two way radio system will keep you in the know even in some of the roughest weather conditions. Plus, it provides dual power so you can use either as a fail safe. Ultimately, this is one of the best GMRS radio systems for outdoors and rugged traveling. We highly recommend this for your next adventure. This fully water proof design is one of the best two way radio constructions on the market. Not only is it fully weatherproof, it also floats in water. Also, there is a built in LED light source that can activate even if the device is out of power. With ranges up to 42 miles, this bad boy really takes the cake on signal strength. Also, it includes 121 eliminator codes to reduce noise. The product package includes: 2 radios, 2 (AA) NiMH rechargeable battery packs, 2 belt clips, 1 desktop dual charging base, 1 wall adapter, and 1 Owner's Manual. In the end, we believe that this is one of the strongest and best long range two way radios on the market. We know this will be a handy tool on your next outdoor trip. If you're the type that is looking for a more discreet style but with a lot of force, these are the radios for you. With 16 channels to choose from and a whopping 36 mile radius, these radios allow you to keep in communication even in the most remote areas. Sometimes, it might be hard to keep track of battery power when you're outdoors exploring. Fortunately, these radios have a sound alert when your battery power is low. Also, there is a handy power saving feature that allows you to save power on the go. The radios also include walkie talkie mode if you are in a marketplace, boat, or other closer distance area. Overall, this is the perfect two-way radio set for your next RV and outdoor adventure. These two-way radios are by far one of those rugged and efficient models on the market. With 22 channels and 7 weather alert radio stations, you can stay in communication with up to 35 miles in all kinds of remote areas. These work especially well for hunting and boating. Sometimes, you may be in an area where there's sudden rain or wet conditions. Don't worry! These radios are waterproof, weatherproof, and rugged proof to fit your adventurous lifestyle. The pack includes 2 radios, 2 belt clips, 1 dual drop-in charger, 1 charging adaptor , 2 NiMH rechargeable battery packs and User’s Guide. We know that you will not want to use any other two-way radio after purchasing these bad boys. Ultimately, they will be essential for your next outdoor trip. For those of you on a budget, this is a great starter two way radio pack. With a 16 mile range and 22 channels to choose from, this is a great two way radio system for local hikes, camping, hunting, or adventures out on the beach. One of the great features about this two way radio is includes a channel scan. This will enable clear signals all the time without having to manually sync in the middle of your adventures. Also, it runs on three AAA batteries and includes a handy power save mode so you use less power when the radios are not in use. In the end, this is a great two way radio system. 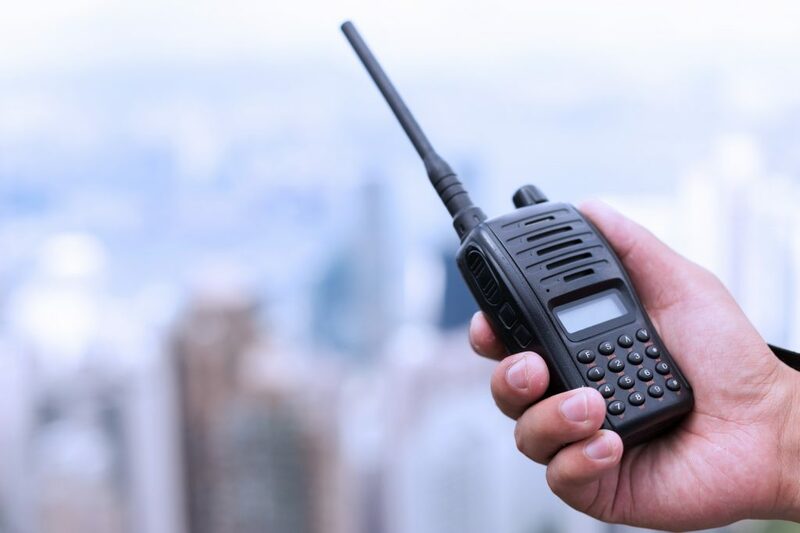 However, if you're looking for a previously licensed two way radio, we suggest some of the previous products since this does require a Federal Communications Commission License.